So you know what behaviour you need to teach…but where do you start? Following on from our task analysis post last week, you may now be at the point where you have worked out the steps of the routine behaviour that you need to teach your child. The question now is to work out which skill to teach first. The answer isn’t as obvious as you may think! Chaining is the technique used in Applied Behaviour Analysis interventions to systematically teach a sequence of skills. Behaviour chains are a series of related behaviours, each of which leads to the next step. For example in brushing teeth, the first step may be to take the lid off the toothpaste, then squeeze a little of it onto the brush, replacing the lid, then bringing the brush to the mouth and so on. Each step along the way cues the next step in the sequence. We are working towards being able to reinforce the last step (e.g. teeth brushed). Confused? Don’t worry – we are going to break each of these down so you can work out which will be the best procedure to use for the behaviour you are trying to teach your child. The steps are taught in reverse order. In another word, first skill to be taught is the last skill on the chain. The facilitator supports (prompts) the learner through the first several steps and the learner independently finishes the last step to finish the task. Once the last step is mastered, the step before the last step is then being taught. Let’s swap from brushing teeth to cooking a batch of cookies. Most children like cookies so this task may be more motivating. There is also an obvious reinforcer – getting to eat cookies once they are cooked! Using a backward chaining procedure you would prompt them through steps 1-5. This might look like verbal instruction or physically showing a child how to mix ingredients. When it came to step 6 (and if this was appropriate for their age) the child would be expected to do this step by themselves, with praise at the end from their parent. Once this step is mastered, then the next step is the pushing down on the dough and so on.Reinforcement (praise) is linked to either the end of the sequence once it’s mastered or to the individual step being taught. The key to using a chaining technique is to be very clear about the behaviour you are trying to teach. In next week’s post, we are going to look at Backward Chaining with Leaps Ahead. As always you are very welcome to contact Jenny Lin, Program Manager for assistance on any aspect of your child’s behaviour. Jenny can be contacted through the office on 9274 7062. For some children on the autism spectrum (and other children with developmental needs), learning daily behaviours and routines can be challenging. Brushing teeth, getting dressed, putting shoes on or preparing snacks are all examples of daily independent living skills where children may need extra help. Some children need help breaking down the parts of the task into smaller chunks and learning step by step. Knowing the steps involved in the task are important. You need to be able to identify the skills your child needs to be able to teach them. Task analysis is breaking down a complex task into a sequence of smaller steps with specific instructions and the expected responses. 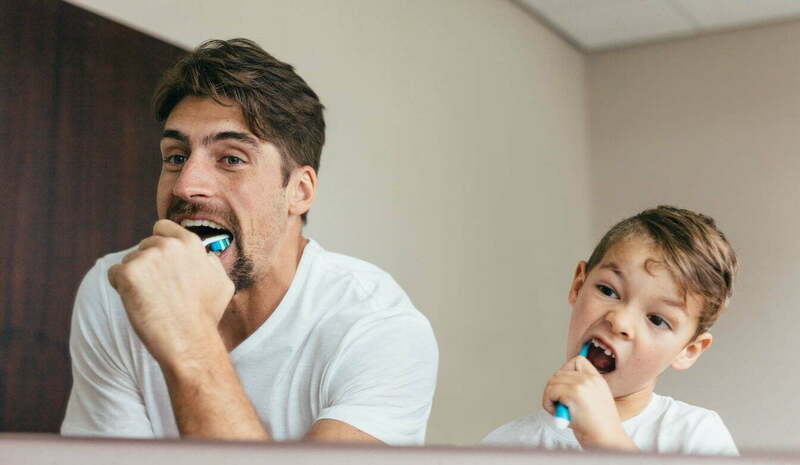 *Note teaching children the actual art of brushing teeth, might be a whole separate lesson, with its own sequence of steps to follow. Performing an action yourself (e.g. brushing your own teeth) or watching someone else do it will help you identify the steps in the behaviour. Try and note as much detail as you can as this can help you later to work out where to start. So I have my steps identified, what next? Now to the fun part. After a task analysis is developed the next step is to teach the steps or skills that make up the sequence. In ABA speak we talk about “chaining procedures”. This is the process where the sequence of skills/steps are taught one after the other…building up until the whole behaviour can be performed independently by the child. Don’t worry! In the next ABACAS Tuesday the team will be talking about how to use chaining techniques at home. However you don’t have to wait. If you have a particular behaviour that you’d like to teach your child, why not grab a pen and pencil and see if you can’t start breaking the behaviour down into steps. Jenny Lin, Program Manager and the team are available for consultation. All you need to do is to call reception on 9274 7062 for further information. Parenting can be stressful and all parents will feel stress at some point of their parenting journey. Stress can start in pregnancy as the body experiences change. 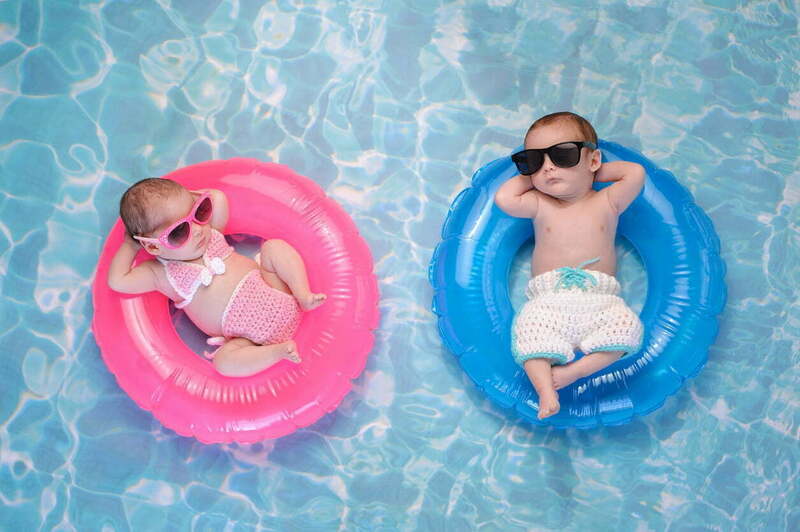 Then in the process of caring for babies, stress can be triggered by lack of sleep, competing demands and changes in routines. Later as children get older, stress can come with the many demands of parenting….a bit like trying to juggle many balls in the air at the same time. How do you know you are experiencing stress? The most common signs of stress include physical symptoms of tiredness, low energy, aches and pains. We can find ourselves more susceptible to the colds, flus and bugs going around. Mentally we can have difficulty concentrating, remembering and being organised. Emotionally we can feel sad and depressed or find ourselves quicker to anger than usual. Identify your triggers. Knowing is half the battle. Identify your triggers for stress. Things like relationship issues, work and and coping with illness can add to the stress of being a parent. Some of these triggers can be predicted – and when this is the case – you can aim to support yourself during these periods. Notice your symptoms of stress. Knowing your symptoms of stress helps you to identify them early on. Irritability, interrupted sleep, headaches and changes in appetite may signal that you are becoming more stressed. The following strategies should help to reduce your symptoms. Lifestyle. Eating regular meals, attending to your sleep routines and exercising regularly are important lifestyle factors that improve mood and decrease stress. Make time for yourself in your busy routine to engage in these activities. Socialising with other adults. Find some time to meet up with friends or family members. Compassionate friends can make all the difference. Relaxation. Developing a relaxation routine or even brief techniques to calm yourself may reduce your stress. Deep breathing, muscle relaxation and guided meditation are some examples. Mindfulness and grounding can be used to stay connected to the present. Address unhelpful thoughts. How we think affects how we feel. If you have having negative thoughts you may like to speak to a friend or a counsellor. It is possible to train your brain to dispute negative thoughts and find balanced alternatives. Of course if you are feeling stress it may not be anything to do with the children. Other things cause us stress too – relationship difficulties, financial strains, having to care for others in the family. The list goes on! Always feel free to talk to you consultant in the Centre. If we are not the right people to help, we can help you find other professionals who may be able to help. Please contact Tracey on reception for further information about our services on 9274 7062. Children’s eating (or not eating) can cause parents lots of worry and stress. Good nutrition in childhood is important for so many reasons. It supports children growth, overall health and learning. Yet some children are very fussy about what they eat. This may look like only choosing some foods, refusing to try new foods and skipping some food groups all together! I can’t even begin to tell you how many times I’ve come across children and the only thing they will eat reliably is chicken nuggets. Why are children so fussy? Children become fussy eaters for a range of reasons. Sometimes it’s due to habits, strong wills and/or sensory difficulties. On this last point, some food textures and tastes can cause distress. 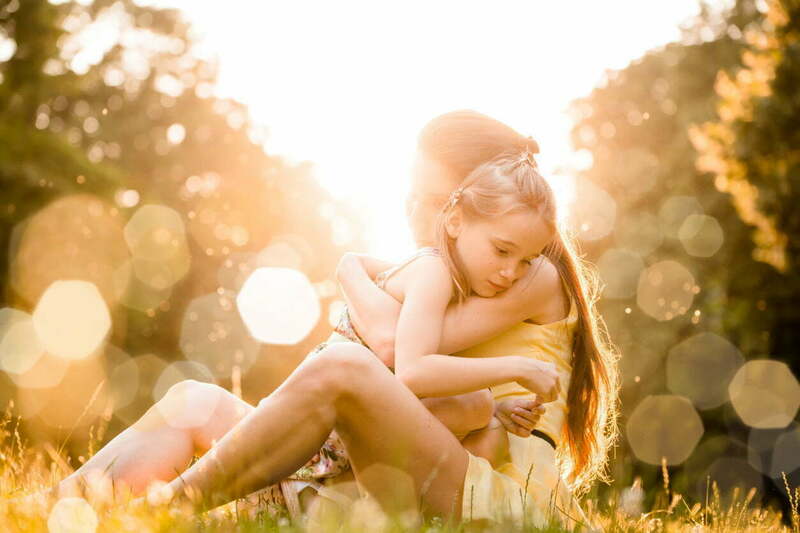 While most children grow out of their fussy ways, some will need some help along the way. What can you do to improve eating? Model good eating: Children learn so much about the world from their caregivers and modelling eating the type of food you would like them to eat is an excellent start. It is also great if they are surrounded by other children eating different food types. Have realistic expectations: Don’t expect your child to finish the plate or try new food everyday. Set small but achievable goals such as trying 1 bite of everything on the plate. Also keep meals friendly. 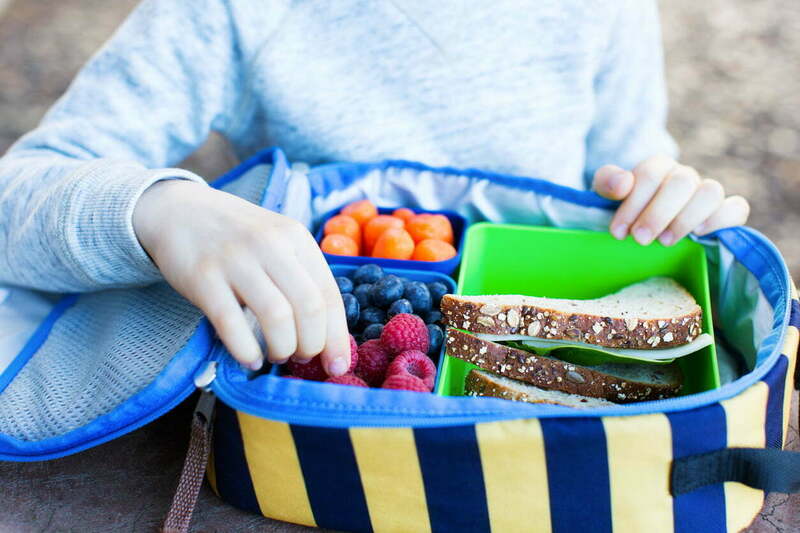 It is better to put a small bit of new food alongside a larger amount of food that your child likes. Make mealtimes happy & social: Try and make mealtimes an important time for the family to sit down together. Avoid distractions such as having the TV on. Try not to worry about anything that goes wrong during dinner (such as spilled drinks or food). Meal times as positive as possible. Praise your child for trying: Its very important to praise and give attention to your child when they try new foods. For some children, a reward chart may be appropriate. However, do not make the reward a different food. This will teach your child that one food is more desirable than another. Do not give attention when your child is refusing: It is similarly important not to give too much attention to your child when they are refusing to eat. This can act as a motivator for children to refuse more. Try and ignore the behaviour as best as you can. Do not make special meals for your child: Tying in with the previous tip, by making a special meal for your child you are giving them special attention when refusing. This can encourage them to refuse more as they know they will get food they prefer. Give your child some say: Refusing food is often a response to wanting greater independence. You can give your child that independence in allowing them to choose their food from a range of healthy options. This way children still feel in control and are more likely to try the healthy option that they choose. 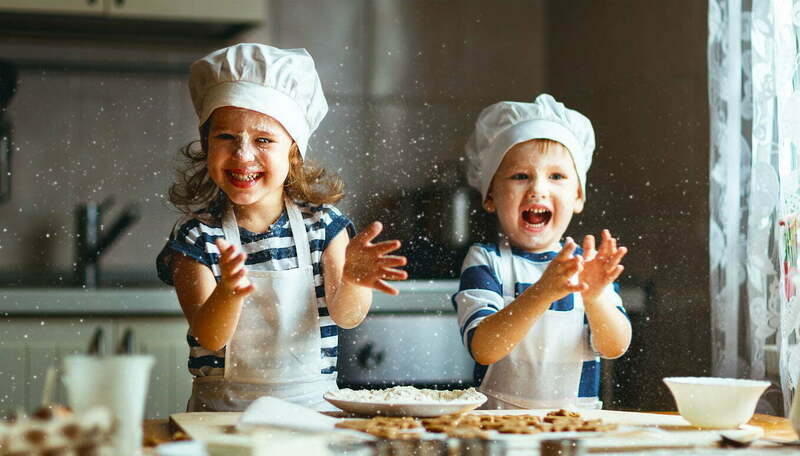 Choosing new foods with a similar texture: If your child has a sensory aversion to a particular type of food due to it’s texture, try and think of some healthy options which have a different texture. This is particularly relevant if your child has ASD or another developmental disability. Offer the new food repeatedly: Your child will most likely have to see the food quite a few times before they will try it. You can also set smaller goals such as touch, smell or lick the food before trying it. 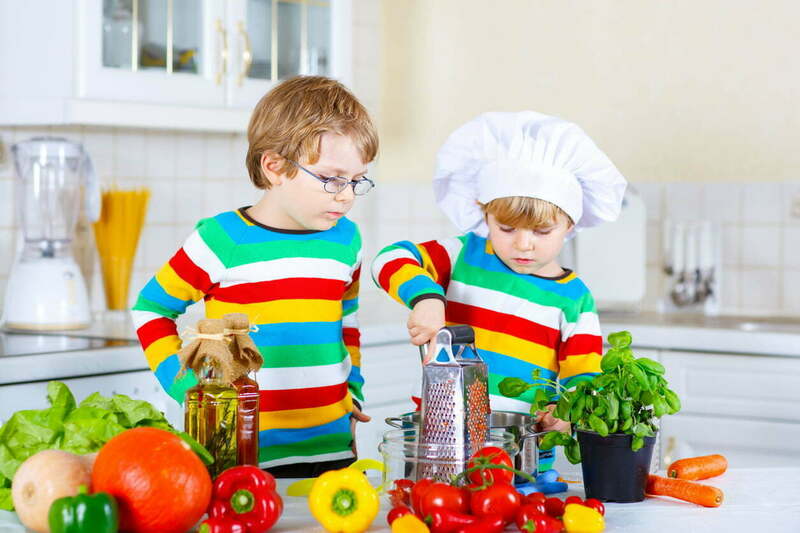 Involve your child in cooking: You can also involve children in the preparation of a meal (e.g. chopping vegetables) which increases their engagement as well as giving them a chance to feel the food out before eating it. Still need help? Then feel free to call the Centre on 9274 7062 for more information about how we can help. Our occupational therapy and psychology team can parents with fussy eaters. Written with help from Ruby Simms-Cumbers (Behaviour Therapist). How to tell when your ABA program is effective. It’s not enough to like your therapy team, parents should also have the means to evaluate their effectiveness. In other words, know whether therapy is being effective. There are 7 dimensions of an Applied Behavioural Analysis (ABA) program that any good intervention should include, these are that they are: Applied, Behavioural, Analytic, Technological, Conceptually Systematic, Effective, and Generality. Some of the key points from these dimensions are that ABA should always focus on skills that are socially significant for that child. And the best way that we can work out what skills are significant is by working with both the child and the family to set meaningful goals. Programs should teach skills that will help improve day to day life for the child (and family). For some children this might mean focusing on communication, learning to learn skills (e.g. listening and attending), social skills and independence. ABA is behavioural, and always looks at measurable behaviours. If we can see and describe a behaviour, then we are in a position to be able to teach it. By being able to measure behaviour, we are also in a position to check progress and to identify what is working and what isn’t. Generality is a key idea in ABA too. This is the concept that skills must be able to continue, with new people and new environments, after formal intervention has ended. There is no point teaching the skill if the child is only able to show it in therapy! As you can see ABA is focused on working with people, to create practical, independent skills for their futures. Whether this is academics, learning to talk, daily living skills, or social skills it is about what is important for that individual, their family and their local community. If you’d like to learn more about what principles guide ABA interventions and how they can help you please contact Jenny Lin, Program Manager on 9274 7062.